“We both love Nick Cave” says Jaggad CEO Steve Greene, as we wrap up our interview – referring to he and Malachi’s appreciation of brands that aren’t your generic popstar variety. Brands that stay true to their identity and don’t sell out or try to please the masses. He and Malachi Moxon (Sales, Marketing and Creative powerhouse) believe in fewer things done exceptionally well – and bonded over this in their first conversations about a potential partnership. I caught up with the guys to learn about the brand transformation, and get the inside scoop on Jaggad’s continued rise. Steve and three friends took the brand two and a half years ago, back when it was more closely positioned in the triathlete market. They liked the grassroots, community feel the brand held (by asking customers what they did and didn’t like about the gear, and simply creating gear for the every day athlete), and wanted to protect that. The new ownership team released their first range in October last year, spanning cycling, yoga, running and lifestyle – steadily building a loyal and passionate following. Over time, they felt they wanted to give their range a broader appeal outside the pro-circuit, and began shifting their designs to a wider market – from dedicated athletes to working mums and weekend warriors squeezing in their workouts outside of the 9-5 grind. Steve feels they now have their clearest sense of the brand they’ve ever had. “LifeAthletic is a commitment to a balanced life. A life style where family, friends, work and your next physical and mental challenge are never compromised” It’s a commitment to exercise at whatever level works for you – whether you’re a triathlete, road cyclist, runner, yoga devotee or busy mum needing to get her workouts in efficiently. Whether its Pilates at 6am twice a week or training for a marathon, they want to support those pursuits, but also recognize that we might also have a “huge weekend at a best friend’s 30th and eat McDonalds on the way home” – that it isn’t all perfect, and that that’s OK. They have some great ambassadors around the world, preferring to pick normal people who are relatable, have flaws like the rest of us and aren’t just race winners/impossibly perfect. Malachi is a cycling circuit icon and a creative force of nature, shaping and curating some of the coolest boutique retail spots for cyclists around Melbourne. Steve and Malachi met through his previous retail boutique – Northside Wheelers in Prahran, stocking the coolest cycling gear, accessories and men’s products (Jaggad included). With over 5,700 followers on Instagram and a big tribe of fans within the cycling community, Malachi brings the Midas touch by being his own target audience – he is the manifest of the community he’s curating for. After some time of Steve and Malachi working together through Northside Wheelers, Malachi joined forces with the Jaggad crew in January to begin shaping and perfecting all of the company creative. Malachi and Steve clicked right out of the gate, sharing the same vision for a community-oriented, micro-perfecting lifestyle brand. 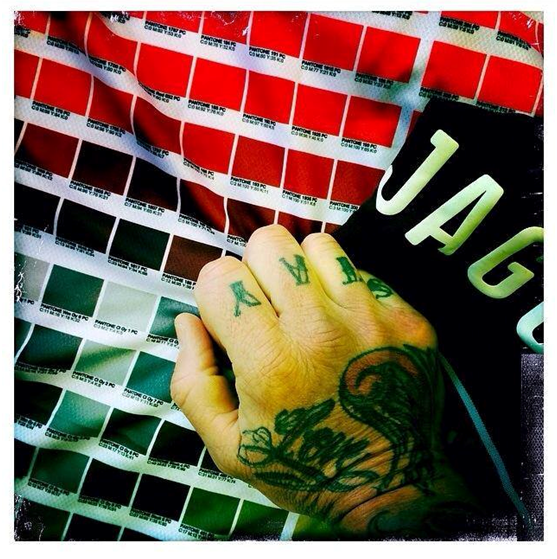 Malachi is also busy designing specialized Jaggad kit for the upcoming FireFlies Antipodes Tour kicking off in New Zealand Feb 1st-8th (a route running from Christchurch to Queenstown) with Malachi riding and representing Jaggad. The charity raises money for London’s Hammersmith Hospital, who are pioneers in finding treatment of Leukaemia and cancers of the blood. Inspired by the courage it takes to fight cancer, the FireFlies take on some of the most challenging climbs of the Tour De France with the noble motto – For Those Who Suffer We Ride. On a continuous quest to improve their ranges, the team brought in a new in-house designer (working side by side with Malachi) to polish the ranges, and bring insight on trending colours, superior fabrics (they’ve got a new merino blend jersey I can’t wait to check out) and new styles for each season. With Malachi’s keen eye for detail and deep inside knowledge, he has been tweaking and perfecting the kit so it looks better, is cut more carefully for men and women, and has better breathability. The new cycling fits have more of a pro-raglan feel – to keep you feeling super sharp on that bike. He’s also overseeing photo shoots, so every aspect of their creative work is aligned and true to brand. The second Spring/Summer range will be released in two weeks, in line with the business launches. 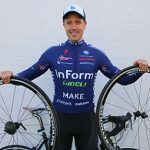 Stemming from Malachi’s relationship with the guys at Giant, Jaggad is now designing, producing and manufacturing all of the Giant kit in Australia – and are working on expansion into the US and UK. Steve feels this kit is the “best Giant’s ever had” through Malachi’s expert insight on fit, and finer detail. He is a fan of Giant’s shared community focus, their support of female riders, and clear investment in women’s kit as well as men’s. Whilst maintaining a strong online focus, the team believes a tactile experience with the garments is essential, letting customers feel their beautiful fabrics and see the design first hand. Since initially showcasing their apparel at Northside Wheelers in 2013, the group is excited to now open their own dedicated space. 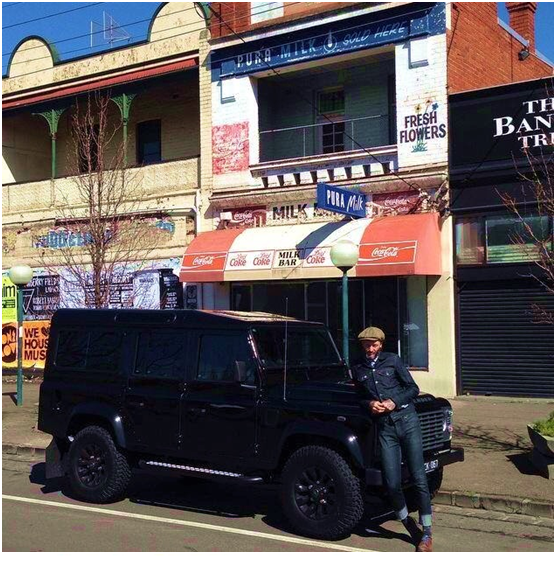 This upcoming gem is a renovated old Milk Bar at 109 Brighton Road in Elwood, VIC – a spot with real community feel. The launch is set for Saturday October 18th. There will be food, juices, offers and giveaways on the night – and a chance to see the new digs before everyone else. Once again, Malachi brings a golden touch to this journey with a fantastic eye for creating cool spaces, and a natural understanding of human nature. He finds no joy in generic, clinical and transactional bike shops – and instead prefers to create quirky, eclectic, hidden little gems that pull together beautifully curated pieces for the discerning cyclist. “The customer is quite savvy, and deserves better” he says. “I think people like to stumble across things and feel like they’ve found it themselves, and its theirs… that it’s something they can be part of” This is again why the Milk Bar works so well for the physical store. Malachi used to ride down to his local Milk Bar when he was a kid in England, as it was a fun place to hang out in the neighborhood – it’s the community vibe they want. Jaggad are already in talks with magazines, skincare and accessories brands to ensure the space is always stocked with plenty of eclectic finds. They’ll be starting weekly store rides soon, with details on this to come. 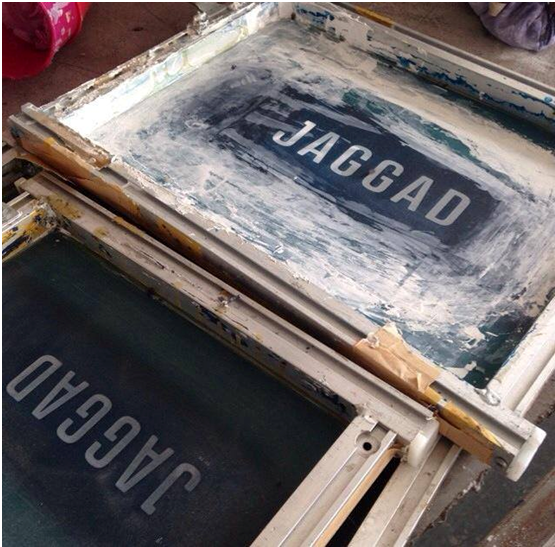 The online Jaggad store will be relaunched on Friday October 17th (the day before the Milk Bar launch). You’ll be able to get your Jaggad fix online thereafter. Jaggad supported the Rapha Womens 100 ride in July this year, and are planning on creating registered uniforms for next year – celebrate women riders showing up and ‘getting the job done’ regardless of their time. The team are looking to find like-minded stores in the US and UK to start distributing through in order to expand their global reach. All in all a very exciting last few months for the boys and their team – we’re looking forward to seeing them in the Milk Bar soon! Tell us what you love about Jaggad, and what you’re looking forward to seeing in the re-launch! Being seeing some of their stuff around Melbourne. Liking it. Yep, it’s pretty cool! We’ve been using a few of their items over the last year or so – good quality gear.